The Joint Apprenticeship and Training Program (JATC) celebrated the graduation of 110 apprentices and residential wireman on June 6, 2015. The graduates completed a rigorous electrical training program to become Journeyman Electricians. 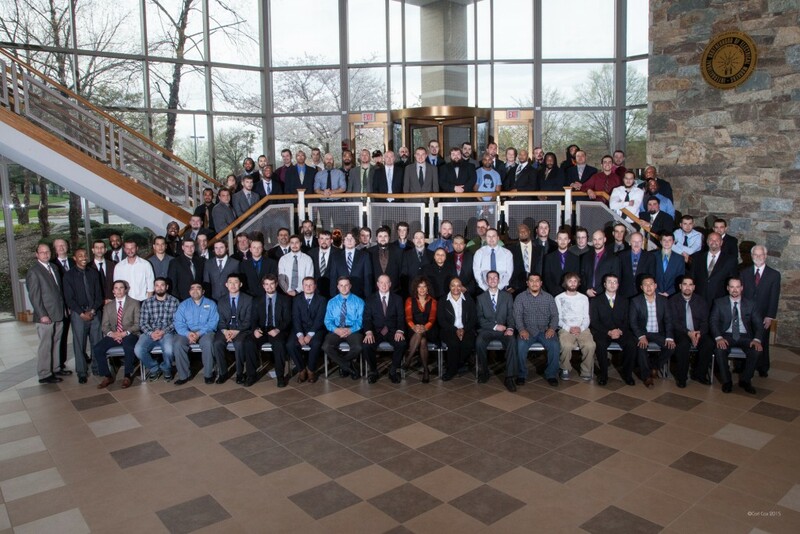 Of the 110 graduates, 88 students graduated from the JATC’s five-year Inside Wireman apprenticeship program. Graduates from this program completed over 800 hours of classroom instruction and 8,000 hours of supervised on-the-job training. In addition, two students graduated from the three-year Telecommunications program and became technicians. And lastly, 20 Residential Wireman completed the Residential program and were upgraded to Inside Electrical Journeyman. “Graduating from this program is not an easy task and I’m extremely proud for this class to be beginning their careers in the electrical industry,” said Sean Myers, assistant director, JATC. This year’s Inside Wireman valedictorian was Evan J. Bender who received the highest marks in his class. The salutatorians this year were Christopher S. Blau (Inside Wireman), Steven J. Stanford (Telecommunications) and Horacio Orta (R-A Upgrade).